John reached out to Watch Patina three weeks ago via email. His message was a welcome surprise, especially after reading the highlights about his cherished Submariner, which he purchased and wore as a U.S. Coast Guard officer in the '70s. But what really caught our attention and made John's story come to life were the photos he attached: Black, white, and sepia-toned images of him as a svelte young man, wearing his Submariner. I enjoy nothing more than seeing an old photograph of someone wearing their watch; the focal point of the shot being their smile, with their watch innocently cropped in the picture - sometimes just a teaser angle of it... A Rolex being worn in its element - by the people who bought them mostly for their reputation and utility, with no consideration given to how valuable they might become - is an especially powerful image to me. The chance to interview someone who actually wore a Sub in its heyday, in the military, aboard a ship to boot, was too good an opportunity to pass up. It's the type of story we aim to share on Watch Patina: Telling about the personal relationship someone has with their watch, while at the same time, providing historical context. John entered the U.S. Coast Guard when he was 22 years old, on June 3rd 1970. As you would expect, he spent a great deal of time aboard ships - patrolling international waters, delivering supplies, and servicing aids to navigation (e.g. lighthouses, radio beacons). In 1972, John and his fellow crew members were in the Western Pacific in the vicinity of the U.S. territory of Guam. They docked on the west side of the island, where a U.S. Naval base was set up. One of John's first orders of business was to stock up on some personal essentials. Items such as food, clothing, and general merchandise, could be purchased on the mainland at various U.S. military exchanges (i.e. retail stores). About this shopping experience 40-plus years ago, John says "[I] don't remember much about the PX except that they did have a display case; the 5513 was priced at $179 versus $219 for the Red Sub 1680... too bad I couldn't afford it." Remember, back in 1972, if you wanted a Submariner with a date function, your only option was the version with "Submariner" printed in red. Of no consequence to John at the time, the Sub he bought would later come to be affectionately known as a "Non SERIF" dial ref. 5513. 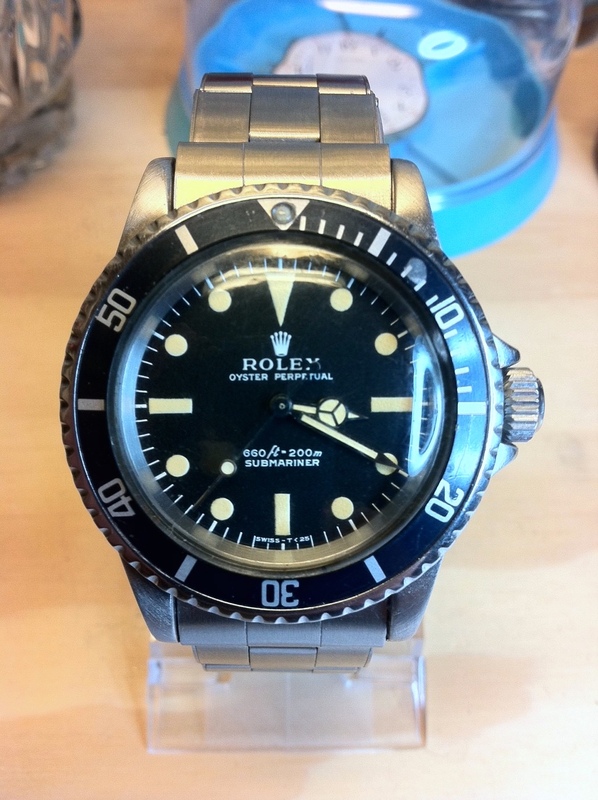 "I bought the Rolex 5513 because of its ruggedness and accuracy. A good friend from high school got to wear his dad's watch on several surf trips we took; I think it was a meters first 5513... 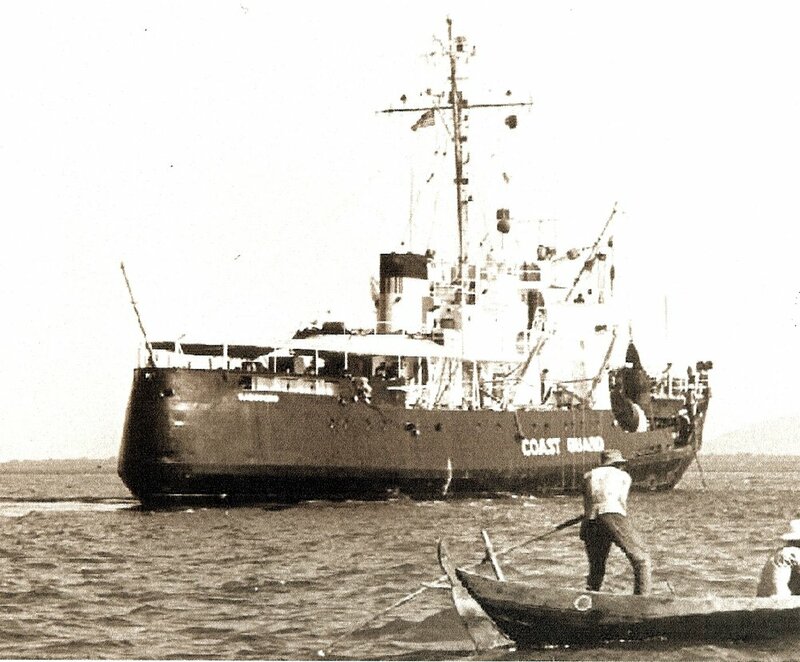 I was duly impressed..."
John spent 5 years in the U.S. Coast Guard, including an 18-month tour aboard the buoy tender USCGC BASSWOOD (WLB-388) serving as the Operations Officer/Navigator. He wore his Submariner 24/7, including to Vietnam and during a rescue mission through the eye of a typhoon. One of John's duties was to chart the course of the BASSWOOD. Although the vessel had Loran-C onboard, a system that used radio signals to determine global positioning, according to John, Loran-C "was unreliable in many areas. Therefore, we relied on celestial navigation on a regular basis, if the sky and seas cooperated. That meant morning and evening star fixes." John used a sextant to measure the angle between a celestial body and the horizon. Simultaneously he would record the exact time he took the measurement. Referencing tables in a nautical almanac, which charted the position of the sun, moon, and stars on any given day - for all times of the day - he could calculate the geographic location of his ship. John recalls two Hamilton Marine Chronometers on board used for navigation. Their accuracy was compared daily to a GMT radio signal. Before each round of star sights he would "hack" his Submariner to one of the chronometers - correcting its time if it were running fast or slow. John added that "this 5513 has a non-hacking movement, but by back-winding [from] the set position you could get it to hack. 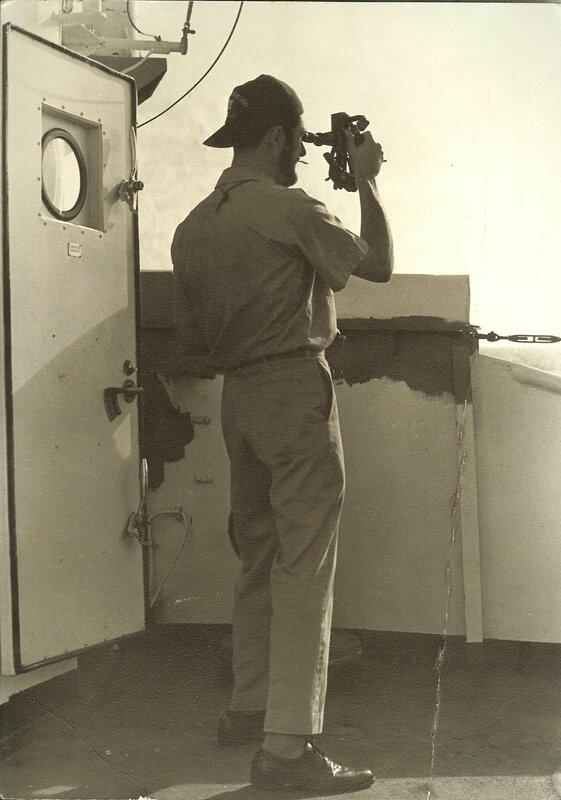 My pride and joy was used daily to determine the ship's position via celestial navigation. [We] never ran aground or showed up to the wrong island." 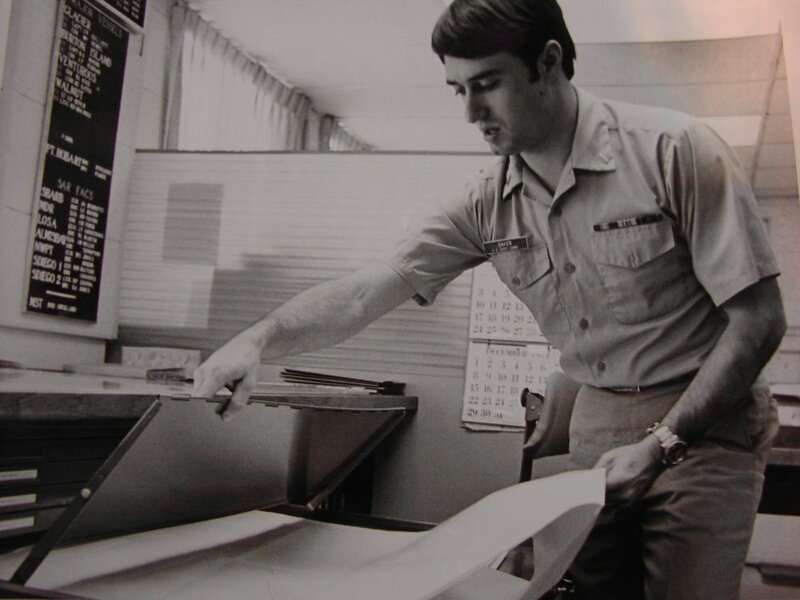 Before John left the service on June 24th 1975, his final assignment was as a duty officer, standing 12-hour shifts at the Coast Guard Rescue Center in Long Beach, CA. He continued to wear his Submariner daily until the band broke sometime in early 1975. At that point John said he "tossed it into a desk drawer, where it remained for the next 36 years." One day in 2013 John was surfing the Internet and remembered the watch at the back of the desk drawer. 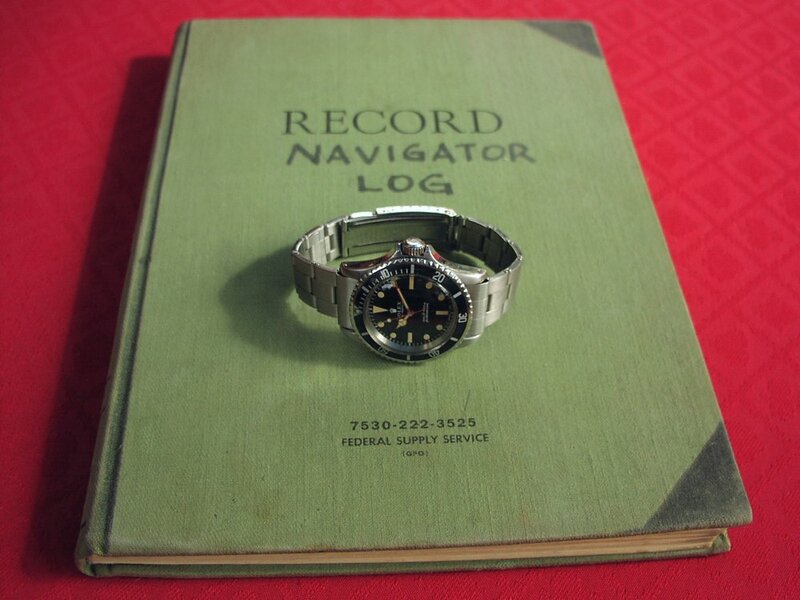 He searched "1970 Rolex 5513's and almost fell out of [his] chair [when he] realized the value of his neglected prize." John tracked down a watchmaker who would service it without losing the collectable value of the watch (i.e. original fat font insert, original almost-perfect dial, and original hands with zero corrosion and matching patina). "It took 6 weeks and [cost] $800, but came back looking almost new! Luckily, all the important vintage stuff was left untouched by the watchmaker." "Before, it was just a 'tool watch' that I used as part of my job. I appreciate the watch [more] now for what it represents: a big piece of Rolex history! It is a cherished work of art that has survived; I am lucky to be the custodian of something very important." Because it's so special, John only wears his Sub a couple of times per month - on a C+I riveted bracelet he sourced. When he's not wearing it, you might find him wearing a ref. 16750 GMT-Master with a "Pepsi" insert and engraved caseback. To find out the meaning of the words etched on the reverse of John's GMT-Master, click the links at the end of this article. 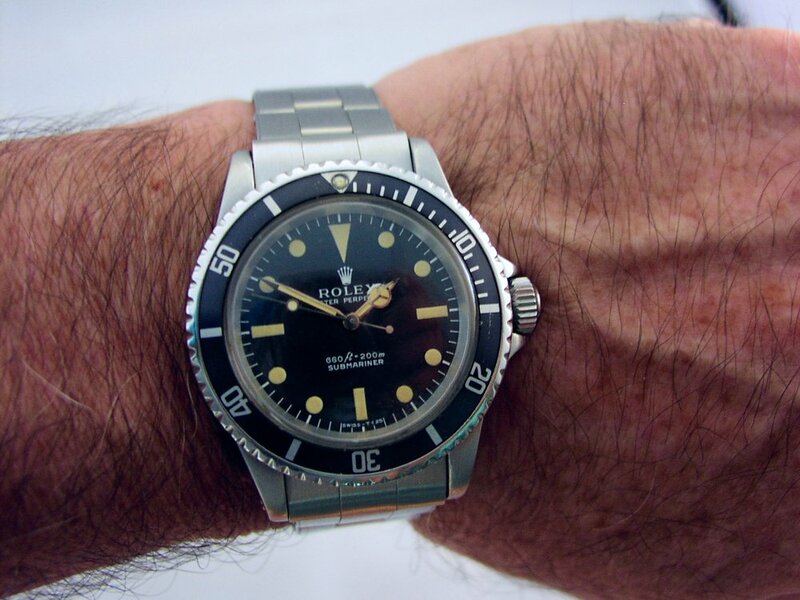 "I sense that I am one of the few persons still alive that has an 'original owner' Rolex Submariner that can still fathom it's charm and value" says John. Part of the "charm" John speaks of has to do with the aesthetics; the buttery patina and steel case that was christened by a maritime environment. When it comes to the outward appearance of John's watch - in my opinion - high resolution macro shots fall short of capturing its true beauty and spirit. Rather, the vintage photographs that John dug up, with horizons, waves, and equipment in the background, do a much better job capturing the essence and history of his Sub. We at Watch Patina are in awe of the honest and beautiful condition of John's Submariner, but even more so, we value knowing where it's been and knowing the man who wore it. Watch John on CBS News "The Early Show"